It hasn’t been the easiest journey for former top Red Sox prospect Garin Cecchini. Garin grew up around baseball for as long as he could remember. His parents Glenn and Raissa were and still are coaches at Barbe High School in Lousiana, so Garin and his younger brother Gavin, who is about two and half years younger than him, have naturally been baseball players for essentially their entire lives. Garin and Gavin grew up playing baseball together and being coached by their parents. They were always a baseball family, and Glenn especially has been described as a “baseball rat,” so Garin and Gavin grew up the same way. Baseball meant everything to the Cecchinis. Gavin even pitched in the 2006 Little League World Series, as you can see starting at 1:41 in the video below, along with Raissa Cecchini being interviewed while watching her son. Gavin and Garin both went to Barbe High SchooL, and they both thrived there, setting school records in several offensive categories. Garin hit .402 his junior season at Barbe, while Gavin hit .413 as a senior. Shortstop was the primary position for both. The summer of his senior year, Garin went on to help lead Team USA to a gold medal in an under-18 tournament. His strong performance led to him being drafted in the fourth round of the 2010 MLB draft by the Boston Red Sox, where he was expected to develop as a third baseman. Garin’s career got off to a very promising start in the minor leagues. He didn’t have a ton of home run power, but he hit for average and got on base while still collecting a good amount of extra-base hits. His first three seasons in the minors, 2011-2013, he hit for an .898, .827, and .915 OPS, respectively. His strong play, especially his .350/.469/.547 line in High-A in 2013, earned him a ranking as the Red Sox #3 prospect by Baseball Prospectus after the 2013 season, as well as the #74 prospect in all of baseball by Baseball America. He was ranked just behind current Major Leaguers Xander Bogaerts and Jackie Bradley Jr., and ahead of current superstar Mookie Betts, who was ranked 8th at the time. There were some mild questions about his game power and defense at third, but he was seen as a future Major League regular, someone the Red Sox could build around and man at the hot corner for years to come. But in 2014, Cecchini took a small step back that eventually led into his quick plummet into obscurity. He spent most of the year in Triple-A Pawtucket, posting much more pedestrian numbers with a .263/.341/.371 line. It was still enough to earn him a promotion to the Red Sox at the end of the year, where he performed solidly in a small sample size, hitting .258/.361/.452 in 36 plate appearances. Despite the down season in the minors, he appeared to be on a track to becoming the the Red Sox’ starting third baseman. But on November 25, 2014, the Red Sox made two big signings, guaranteeing $95 million to third baseman Pablo Sandoval, and $88 million to first baseman Hanley Ramirez. While at the time these two were considered the best position players on the free agent market, it was nonetheless a controversial decision as it seemingly blocked Cecchini from having a role with the 2015 Red Sox. So, rather than starting 2015 as the Red Sox’ starting third baseman, Cecchini went back down to Pawtucket, which is when his fall off the face of the earth truly began. His offensive numbers fell off a cliff as he put up a miserable .213/.286/.296 slash line. It was really a terrible year for Cecchini. At a time when he was trying to prove he belonged in the Majors, he got worse in every possible offensive category. He started striking out more and not walking nearly as much. He also hit for a much worse average, and any power he had virtually disappeared. There wasn’t a single silver lining to focus on during this absolutely dreadful season – quite disappointing to see from a prospect who had looked so promising. The Red Sox gave him a brief chance at the very end of the year in the Majors, but he only played in two games and went 0-4 with three strikeouts. Little did he know that that would be the last time he’d ever step on a Major League field. On December 4, 2015, the Red Sox signed David Price for seven years and $217 million, and as the corresponding move, they designated Garin Cecchini for assignment. In just a year’s time, Cecchini had fallen from a top-100 prospect to a minor league free agent. From there, Garin signed a minor league deal with the Brewers, playing the entire season in Triple-A before being designated for assignment again in October. He then signed a minor league deal with the Royals, and got limited playing time for their Triple-A team. He never got a Major League call-up in 2016 or 2017. He rebounded somewhat, with a .705 OPS for the Colorado Springs Sky Sox and a .690 OPS for the Omaha Storm Chasers, but he was never the Garin Cecchini from 2011-2013 again. After the 2017 season, he played in a winter ball league where he hit .288/.324/.409. After that, he didn’t get a contract offer from any team, so he decided to hang ’em up for good. It was a sudden, quick, and tragic downfall for a guy who was once such a promising prospect. Disappointing and underwhelming prospects are not too rare of a thing in baseball, considering the nature of the game and how ruthlessly difficult it is. But we rarely see or hear what is actually going on inside the minds of these players as they succeed, struggle, or both. After all, these are still human beings with emotions, feelings, and day-to-day inconsistencies; they are not just a bunch of baseball-playing robots. 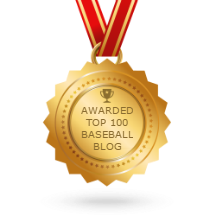 Last month, Kevin Wilson and Joe Ferraro for KWB Radio recorded an episode of their podcast in which they sat down with Garin and asked him to open up about going through this abnormal and frustrating baseball journey. The full podcast can be listened to here on mobile and here on desktop. It should not come as too much of a surprise that Garin Cecchini has always loved the game of baseball, from playing with his brother as a little kid, to being coached by his dad in high school, to being drafted by the Red Sox and playing professional baseball. His favorite player as a kid was Derek Jeter, and he actually got the chance to play in some of Jeter’s final games in 2014. However, now in 2018, Cecchini says he doesn’t miss the game and hasn’t picked up a bat since his last at-bat in the 2017 winter league. He once loved the game for its beauty and for fun, but after all the events that transpired that resulted in his retiring at the age of 27, he has now clearly lost that passion and drive that is required to succeed at the highest level. Through the 2014 season, Garin’s career had been what every little kid dreams about. He had been drafted by an MLB team, become a top prospect, hit well at every level and even gotten to play in the Majors against an MLB legend in Jeter along with the infamous New York Yankees. At the end of the season, the general manager of the Red Sox, Ben Cherington, sat down with Garin just to compliment him on what a great job he had done. He went on to tell Garin that he had done nothing but impress, coming up from the minor leagues and filling the third base spot and performing so well so quickly. He ended by assuring Garin that he had earned a chance to compete for a job on the 2015 team. Hearing these words meant a lot to Garin. To have the general manager of your team tell you that you’ve done a great job and that they think you’re good enough to compete for a starting role is an extremely heartwarming and reassuring message to hear for any player, especially for a mostly unproven one like Garin. Most importantly, Garin now felt like he could trust Cherington as well as the entire Red Sox organization. But when they signed Sandoval and Ramirez to huge contracts, Garin’s heart deflated as he completely lost all that trust that had built up. To Garin, these signings made it seem like the organization didn’t have any faith in him, making these huge signings to fill his spot not only for the 2015 season, but for the foreseeable future. It was then that Garin felt completely betrayed. In the podcast, he goes on to explain how he came into 2015 Spring Training strong and prepared, and he hit well, but ended up getting cut anyway. He felt like the Red Sox said one thing and did another, and ultimately Garin felt like he was being lied to. Suddenly, Garin was back on the Pawtucket Red Sox after tasting what it was like to play in the show in huge stadiums and on national television. But instead of trying to persevere, he went back down with a bitter and negative attitude. He was trying too hard to duplicate his past success, and according to him, he became a bad teammate and didn’t treat people right by not listening to them and not wanting to get to know them. The frustration built up more and more after every bad game, after every 0-for, digging himself into a deeper and deeper hole every night, as evidenced by his abysmal .213/.286/.296 line. “Why didn’t I do this right? Why am I doing this? I don’t feel this” is the basic thought process that would ramble through his head as his struggles continued. As the season went on, he was in a very bad place mentally. Looking back on the experience, Garin definitely feels regrets for the way he acted and thought back in 2015. He hung on to the great compliments that they gave him at the end of 2014, but their actions in signing Sandoval and Ramirez didn’t match the things they said, in Garin’s mind. But ultimately, Garin insisted on pointing the cause of his struggles to his bad attitude towards his teammates. An example he used was that he wished he would have gone to get a beer with his teammates after the game instead of “practicing [his] swing in the mirror in room 211 in Scranton.” To this day, Garin firmly believes that if he had tried to get to know his teammates better, and if he had tried to understand where the Red Sox organization was coming from, then it would have positively affected his results and he would have started hitting more. He believes that the root of his struggles was his mindset and attitude, not so much the physical act of hitting. The offseason after the 2015 season was a time for Garin to think and reflect on his struggles and sudden decline in the Red Sox farm system. He got married over the offseason, which was a nice thing to get his mind off of baseball, spend time with his loved ones and remember what’s truly important in life. He was scheduled to marry his wife Katie on December 5, 2015. The night before, on the 4th of December, he got a call from the Red Sox telling him that he had been designated for assignment to make room for David Price. It was a time of whirlwind emotions for Garin Cecchini. His baseball career, which had recently been on a rapid rise up, had suddenly hit a huge speed bump. However, his family and loved ones were there with him to support him through the difficult times. Garin has emphasized the importance of his family through this whirlwind journey, stating that they’ve always been there for him at his highest points and his lowest points. The night before the wedding, the Cecchini family sat around and had various relatives say a kind word or two to Garin about what he meant to them or how special he was. Gavin, who was on the rise in the Mets farm system after a breakout offensive campaign for Double-A Binghamton, gave Garin an extremely memorable little speech that Garin still remembers well to this day. In it, Gavin apparently broke down crying, expressing how much his brother meant to him and had helped him along his journeys through both baseball and life. Gavin talked about how special Garin is to him and how he’s always looked up to him for as long as he could remember. Garin, at 25 years old, had never heard Gavin say these words to him before, and it meant everything to hear them. These words stuck with him forever as he formed an even closer connection with his brother who he was already close with. Nowadays, Garin says that his relationship with Gavin has never been better, and they still talk to each other on the phone every day. After the roller coaster emotions of the 2015 season and offseason, Garin was not ready to give up on his baseball career. The Milwaukee Brewers were the first team to give him a second chance, signing him to a minor league contract as he hoped that a change of scenery could help spark a bounceback season. He did make a considerable effort to be more positive in 2016, and he certainly improved from his terrible 2015. He had somewhat of a bounceback, but since he was no longer a top prospect and may not have had the same drive and passion that he once did, he never really was himself again. He played the entire 2016 season as the regular third baseman for the Sky Sox, and hit a perfectly fine .271/.325/.380. But it wasn’t enough for a promotion. DFA’ed after the season, Garin caught on with the Royals, and according to him, 2017 would be his most enjoyable season of professional baseball. This is despite the fact that he didn’t receive everyday playing time, hit a pedestrian .266/.296/.393, and never got a Major League callup. Throughout his season with the Storm Chasers, he had multiple former teammates from the Sky Sox text him and tell him that the clubhouse wasn’t the same without him and that they missed him a lot. This is what meant the most to Garin; this connection with his teammates was bigger than baseball, and much more meaningful to him in the long-term. Reflecting on the past, Garin admits that his 2016-2017 teammates have a much different perception of him than his 2015 teammates. His 2015 teammates likely remember him as the selfish guy who only cared about himself, would throw his equipment after messing up, and simply wasn’t grateful to put on a Paw Sox uniform every day. His 2017 teammates remember him as the exact opposite – a guy who cared about his teammates and was funny and kept things loose. Garin’s tenure with the Royals organization may have looked weak on the stat sheet, but it turned out to be a life-changing experience. He absolutely loved the Royals organization, praising general manager Dayton Moore for being honest with him and always telling the truth. But the main reason he loved his experience with the Storm Chasers so much is the positive change it had on him as a person. He started really being a helpful teammate and getting involved in their lives and struggles. He shares two stories in the podcast about two teammates who were struggling and wanted to quit, but Garin reassured them and told them that they were good and convinced them to keep playing. He also just talked about life and random topics for hours at a time to get to know them better and truly connect. One was a pitcher who he did not name (although having done a bit of a research based on the information he did give, I have found pretty conclusive evidence that it was likely Luke Farrell). This pitcher had a terrible outing and wanted to quit, but Garin told him that he was great in the clubhouse, that he’s really good at limiting soft contact, that the homers he gave up were wind-blown, and that the hits were soft contact that found holes. He eventually convinced the guy to keep playing, and now he’s pitching in the big leagues. Garin may have saved this man’s career. “I’m not a god, I’m not the best teammate ever, but I started to learn in ’17, you know, what success really meant,” Garin said of his experience. He learned not to care so much about the box score, but began to think of success as helping teammates and being there for them. When he came back from Mexico playing winter-ball and nobody offered him a contract, Garin was not devastated or in tears. He decided he was at peace no longer playing the game he once loved and strove to be the best at. The essential lesson that Garin learned through all this was to be grateful for everything you’ve gotten in your life. You should enjoy every day because you never know when it’s gonna end. He was happy with the way he ended his career, because people would remember him as Garin Cecchini, a great human being and teammate that they’re going to miss, not a selfish snob who only cared about himself. Garin has spent the entire 2018 baseball season at home, spending time with his family and just enjoying family. Meanwhile, his brother Gavin has been going through some baseball struggles of his own. Once a first-round pick by the New York Mets in 2012, Gavin has seen his stock drop the past couple years due to under-performing in 2017 and missing most of the season due to injury in 2018. For now, Gavin has dropped out of the Mets’ future plans, but at the age of 24 along with a new, adjusted swing and stance, it is still a little early to drop the “bust” label on him. The 2019 season could be huge for Gavin, and could determine whether or not he falls down the same hole that his brother fell in. The hardships and struggles the Cecchini brothers have had to deal with remind us just how hard baseball really is, and how unfathomably difficult it is to not only make it to the highest level, but to establish yourself and stay there. And it’s so much more than just physical difficulties; the mental aspect of the game can destroy you and affect you in a negative way, much like it did to Garin Cecchini, to the point where life took a priority over baseball. This is no fault to Garin, who showed tremendous strength and courage by choosing life over baseball, but just proof that he’s an actual human being and not just a baseball-playing robot like some casual fans tend to assume.